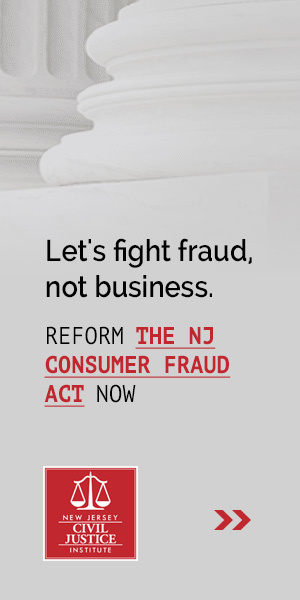 This week the New Jersey Senate Labor Committee voted to release legislation that would make New Jersey the only state in the country to ban arbitration agreements in all employment contracts. Gov. Phil Murphy has issued an executive order creating a new Jobs and Economic Opportunity Council tasked with providing the Governor actionable advice on how to improve the state’s economy and create more jobs. We are encouraging the Council to include legal reform in its recommendations since our state’s current legal climate is hindering economic growth. A selection of the need-to-know civil justice news for February 24-March 2. A selection of the need-to-know civil justice news for February 17-23. In her Inquirer article on the Consumer Fraud Act-based Super Bowl ticket lawsuit, author Jan Hefler optimistically asserts, “A ruling in the fan’s favor could also lead to lower ticket prices the next time the Super Bowl is held at MetLife Stadium in East Rutherford, N.J.” That the court recently ruled in the fan’s favor is true. Whether it will lead to lower ticket prices in the future is a more complicated question. A selection of the need-to-know civil justice news for February 3-9. A selection of the need-to-know civil justice news for January 27-February 2. Gov. Murphy ran on a progressive, social-justice-orientated agenda, but as is the trend right now, offered few details on specific policy proposals. Until we hear Murphy’s budget address, and see his proposed budget, much of his agenda remains a mystery. However, we are getting some clues about what his legal policy plans are based on the Law & Justice report from his transition committee.